I feel this is a very important topic that needs to be highlighted as many tubie parents are not aware that the national guidelines for changing a button has changed. Aspirating stomach content and testing PH to ensure correct placement is a MUST after every button change! It is a quick and inexpensive thing to add in to your care plan to ensure tube fed children are kept safe. Ensure that the last feed was 4 hours prior and clear liquids 2 hours prior replacing the button. This is to minimise any gastric fluid leakage that might conceal the gastrostomy site and therefore on removal causing injury to surrounding skin. If your child is on certain anti reflux medications, it may be advisable to leave it till after you have changed the button as the medication may affect the PH reading of the gastric aspirate. Make sure your child is relaxed and comfortable. When they get upset or too heat up it makes it quite hard to change the button and sometimes impossible! I have personally found that doing it after bath time is the best time that works for us and makes it an easy peasy task. 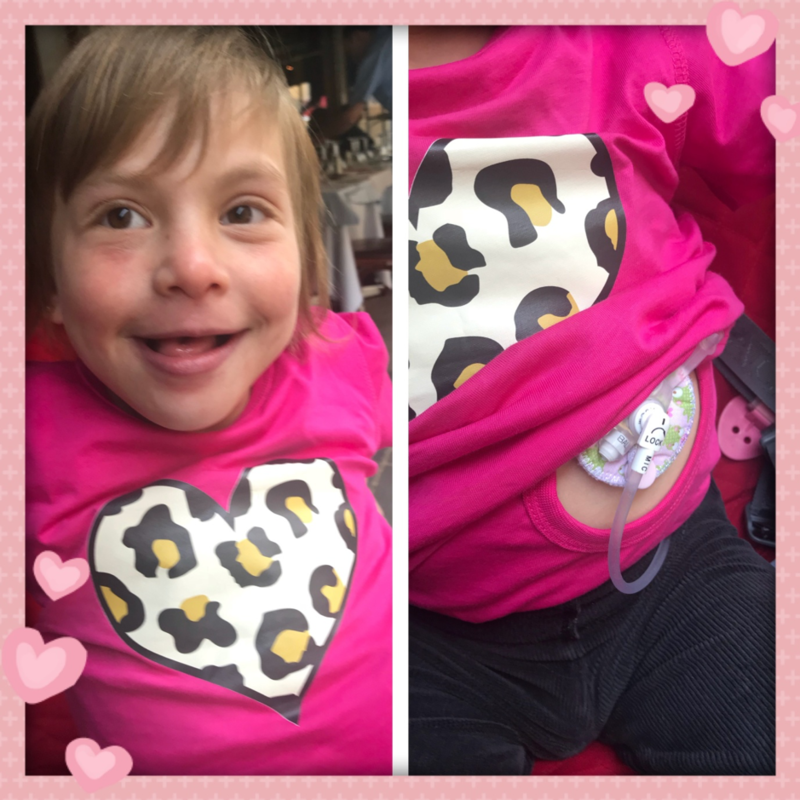 If you are a new tubie parent, my advice is practice your first button change infront of your district nurse. I recommed the district nurse watch you change it from a distance because some children will relate the nurse uniform to something that might hurt. As a result relating button changing times to something painful when it isn’t! Make sure your hands are super clean or wear gloves to minimise risk of infection. Aspirate the existing button and test PH to confirm gastric position of existing tube and provide a baseline for replacement pH. This it to prevent accidental misplacement. Check the expiry date on the outside of your packaging and only use equipment thats are still in date. Open your new button pack and have two of your provided sterile luer slip syinges at the ready (one empty and one filled with 5 mls sterile or cooled boiled water). This will ensure that all your necesary equipment is by your side and promoting a safe and timely gastrostomy replacement. Using the prefilled syringe, inflate and deflate the new balloon on the gastrostomy tube as to check it inflates correctly. If the balloon does not inflate properly or at all do not use. If the balloon inflates easily, deflate and proceed with gastrostomy tube change. Lubricate the site area and the end of the new balloon using a water based lubricant. To be honest,recently we have been using coconut oil! I actually prefer it now. Deflate the current balloon and rotate it gently “without force” until it starts to come out. You might need to give it a very gentle pull at the end. We give our little one a tiny tickle at this point so she thinks we are having a play and to empose a positive attitude towards the button change time. Once the button is out, insert the new one by rotating it gently. I tend to find with coconut oil it gently slips in every easy. Inflate your balloon with the syringe containing the 5cm sterile or cooled boiled water mentioned earlier. Using the appropriate size enteral syringe aspirate a small amount of gastric secretion through the new gastrostomy tube and test its PH. pH should be below 5.5 to confirm correct gastric position (or similar baseline reading to your old button ph test reading). If the reading is above 5.5 and pH reading before tube change was not obtained or was below 5.5 wait 30 minutes then try again. If there is any concern regarding aspirate speak to your district nurse before administering any further fluid through the gastrostomy tube. To take part in this series please email submissions to [email protected] along with a photo & links to your social channels & blog.